Finally receiving a court order for the financial support you need after a divorce can be a great feeling. Whether it is child support, alimony, or payments for a shared debt, it is often a relief to know that you will have help from your former spouse to make ends meet. Unfortunately, some former spouses can make life difficult by refusing to make payments towards their obligations. 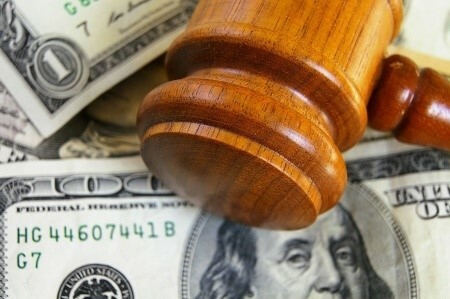 When your ex won’t pay what he or she owes, you can ask a judge to enforce the family court order. First, you need to let the court know that your ex-spouse or former partner is not following the terms of your divorce decree or child support order. This is done by filing a document called a Petition on Rule to Show Cause. Your Delaware family law attorney will prepare a Petition detailing the ways that your former spouse is not complying with the order, and will ask the judge to force that person to make payments. Your former spouse will receive copies of your Petition, as well as a notice with the date and time of the hearing. He or she should attend, but if not, the hearing may go on without them. The judge in your family law case has multiple remedies to choose from when a partner or spouse fails to comply with an order. The judge may use several remedies at once, or may choose to use only one. If the delinquent spouse still fails to comply with the order after the contempt hearing, the consequences will get significantly more severe. Although these remedies can be used for any type of contempt of court, the failure to pay child support or alimony often results in the most serious sanctions. First, the judge may go after the delinquent spouse’s money. The court can take money directly from the spouse’s paycheck as a garnishment, or can freeze and seize money held in bank accounts. In addition, the court may place a lien on the former spouse’s house or car, and can institute foreclosure proceedings in order to get the money to pay you what is owed. Also, the judge can issue an order intercepting any money made from tax returns or lottery winnings. The delinquent spouse can also be reported to the credit bureaus for failure to pay the debt, and the spouse can be turned into a collections agency. Besides interfering with the money and assets of a delinquent former partner, the court may additionally suspend that person’s driver’s license or any professional licenses he or she may have. Not being able to drive or make a living in a certain field may be a significant enough push to get your former partner to start making payments. Finally, if all else fails, a judge can order a delinquent spouse to go to jail. Though jail is not an ideal situation-since someone in jail doesn’t make much money-a short sentence may motivate the delinquent spouse to catch up on what you are owed. Former spouses and partners often think that they can hurt you by refusing to follow the terms of your agreement. They may threaten to withhold payments unless you do what they want, or they might be so angry about the divorce that they just refuse to pay. Don’t worry about these threats. When asking nicely doesn’t work, know that you have options. The experienced Delaware and New Jersey divorce attorneys at The Castro Firm, Inc. know that dealing with your ex can be a difficult experience. Our attorneys help people just like you get the support money that they were promised, and will help you enforce your legal rights. For a consultation about enforcing divorce orders or any other family law issues, call (302) 225-5700 today. You can also visit us online at www.thecastrofirm.com.